Sometimes called 'the Pearl of the Sahel' (referring to the central section of Tunisia's eastern shoreline), Sousse is prized for its excellent beaches. You will find a white, idyllic haven of natural waterfront beauty. Arab-Islamic since the 7th century AD, the city has many fascinating attractions, like the 9th-century Great Mosque, and its medina is a UNESCO World Heritage Site. The Tunisians are masters in the art of flavour. That’s why, at the Iberostar Diar El Andalous hotel, you’ll find that secret ingredient to make your stay one to truly savour. 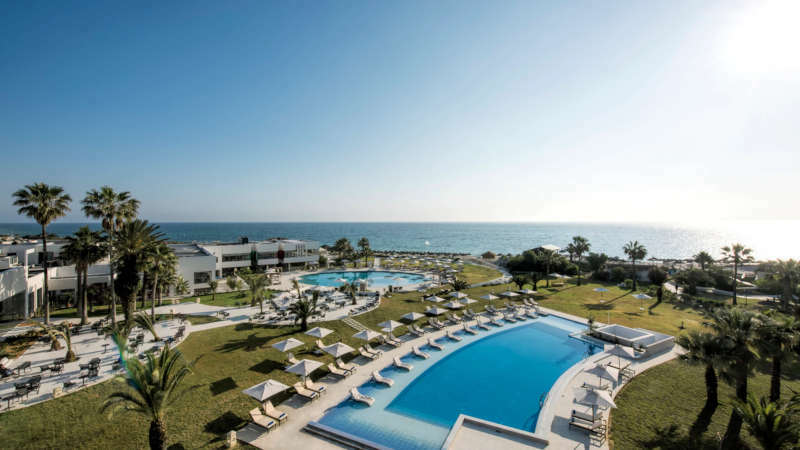 Recently refurbished, this 5-star hotel in Sousse offers beautiful gardens to stroll around and direct beach access so you can enjoy a view of the Mediterranean throughout your holiday in Tunisia.